Does your daily shower leave a little to be desired? Is it clogged and offer very little water pressure? There are a lot of ways ti improve your bathing experience. 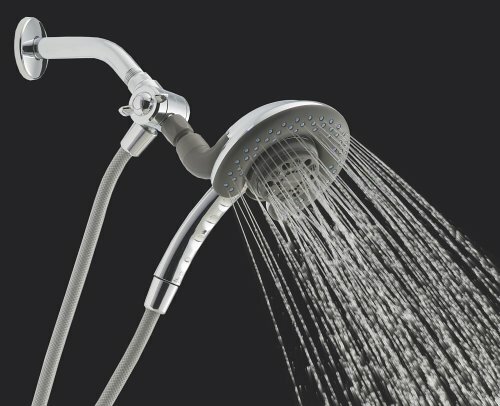 One of those is the new Peerless shower head system. The Peerless 2-in-1 system is two units in one. It works as both a fixed head and a handheld. If you want, you can even use it as both at one time. The way this feature works is it is actually two separate parts that spray out water. One will stay on the attached pipe and the other is removable. This will allow you to aim the water where you want it. When you are using the fixed unit, the handheld will interlock into place. Either way you use it, you will be able to take advantage of 4 spray settings to give you the ultimate full body massage. The Peerless comes with a lifetime warranty and offer easy cleaning so that all it takes is a finger running over the water jets to remove mineral deposits that may clog other units. It installs easily, in most cases only a few minutes. Installs easily, using only a wrench or pliers. Most installs take less than 15 minutes even if this is your first time. Two units in one to operate as a handheld, a fixed, or both at one time. This gives you the luxury resort experience at home, especially when you take into consideration the four spray settings, which include crossing full spray, pulsating spray, and a jet stream of water. Easily remove mineral deposits with a touch thanks to anti-clog jets. You will never have to worry about it not working the way that it should due to having hard water in your home. Lifetime warranty to give buyer protection against any problems. Operates at 2.5 gallons per minute to give you good water pressure. This could be very important in homes that have very little water pressure. A five foot flexible hose is attached to the handshower. This enables you to easily bathe the dog, wash your tile walls and floor, or rinse those hard to reach areas. It is also great for older people in your home who may need to sit while they bathe. Should You Buy the Peerless? According to most, the Peerless does all that they expect and more. They love the fact it is easy to install. Additionally, reviewers love the dual head features that it offers and how easy it is to clean. They state that this is one of the best hand shower systems. Some simply love everything there is to enjoy about it and their new bathing experiences because of it. Few people have mentioned in the reviews issues with the gasket and stuff getting worn out where the two heads interlock together. The parts are easy to get thanks to the lifetime warranty, but still an inconvenience and worth mentioning. 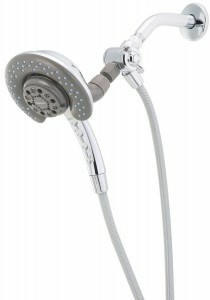 Overall, if you are looking for a new way to improve your home bathroom, the Peerless could be a great option for you. It definitely has the potential to take your bath to a new, very enjoyable, spa experience at home.